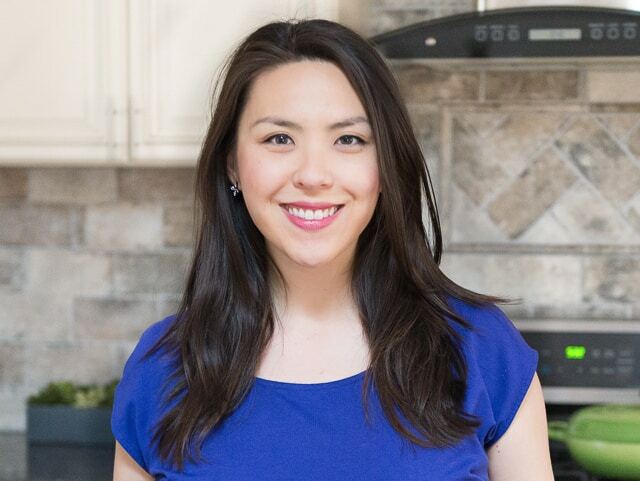 I’m somewhat of a newbie to the whole freezer food thing, but after I found out my first baby was coming into our lives, I started experimenting with it more and paid a lot more attention to planning out some frozen meals. In the past months I’ve been stocking a lot more frozen soups and things in the freezer, and wow, is it great to just pull something out to defrost and eat! 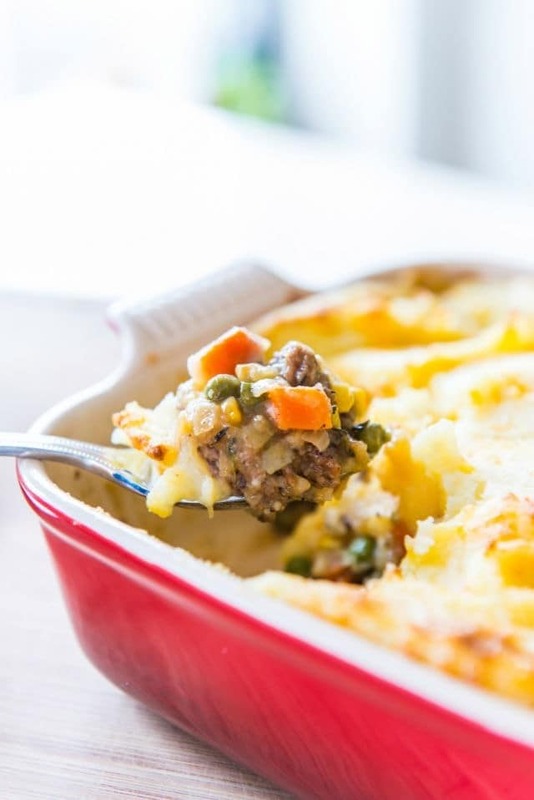 Shepherd’s pie is a rustic dish originally from the UK, and it’s the perfect type of comfort food to keep on hand in the freezer. While it’s traditionally made with ground lamb, I’m not a big fan of lamb and always use beef instead (making this technically a cottage pie). Feel free to use whichever meat you’d like here. This recipe has two main components to it, but both are very easy. The beef and vegetable layer on the bottom cooks very quickly (as with all ground meat dishes), and the mashed potatoes on top are likewise very simple to prepare. Plus, if you’ve got leftover mashed potatoes from another meal, it’s even easier to put this together! Yea Joanna! Glad to see you back to the blogging game. This looks delicious. 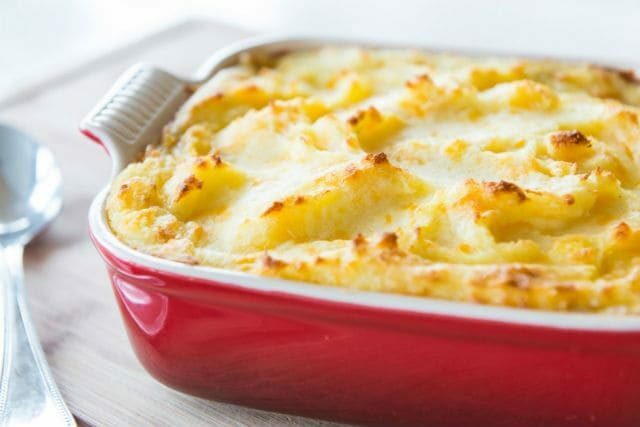 Shepherd’s pie is one of my favorites. It’s my mom’s birthday request every year! This looks delicious! Could I put the whole thing together earlier in the day (unbaked) and then cover and refrigerate it until I’m ready to bake it at dinnertime? Thanks!